The author’s talent, the subject’s richness, Brazil’s cultural diversity, its cosmopolitan nature and the quality of our literature delight the whole world and have also been consolidating the export capability of the Brazilian publishing sector. Our books have been widely spread in Europe and Latin America. There are around 200 Brazilian writers whose work is translated into several languages/countries, among them: Carlos Drummond, Chico Buarque, Clarice Lispector, Ferreira Gullar, Gilberto Freyre, Graciliano Ramos, Guimarães Rosa, João Ubaldo Ribeiro, Jorge Amado, Lygia Fagundes Telles, Machado de Assis, Mário de Andrade, Mauricio de Sousa, Milton Hatoum, Moacyr Scliar, Oswald de Andrade, Paulo Coelho, Raduan Nassar, Roberto Schwarz and Rubem Fonseca. These top exports of printed editions or copyrights who are alive and still writing, or those ones immortalized due to their originality are working together for the internationalization goals of the Brazilian publishing sector. Many of these authors and their publishing houses are a success in sales and “direct marketing” of national literature with buyers from all over the world, in the stands of our country, during the main book fairs, such as Paris, Frankfurt, Bologna, Guadalajara and Bogota. The diversity and beauty of Brazilian publishing production are attracting more and more readers and publishing houses abroad. Those ones, that are aware of the seriousness and professionalism of our market as a buyer, have a relation of mutual trust with our publishing industry, that is added to the quality of our books as a factor of attraction and incentive to the trade. All these features show the success of Brazilian Publishers project which is aimed at the export promotion. This project was created by Brazilian Book Chamber, together with Brazilian Trade and Investment Promotion Agency (Apex-Brasil). It is evident once more why the world reads Brazil. The number of authors that reach readers abroad is increasing because our country is an inexhaustible source of talents and presenting new authors has been a successful policy of publishing houses for the last years. We want new Brazilian writers to be increasingly read all over the world. The participation in the main international book fairs, the organization of missions abroad and visits to Brazil by editors and journalists organized by the Brazilian Publishers project have been contributing to make our publishing production more well-known abroad. On all fronts, including the new exchange rate level, everything has been in favor of printed books and copyright exports. The talent of our authors and the effort of all the market show that the potential of spreading Brazilian books is huge! 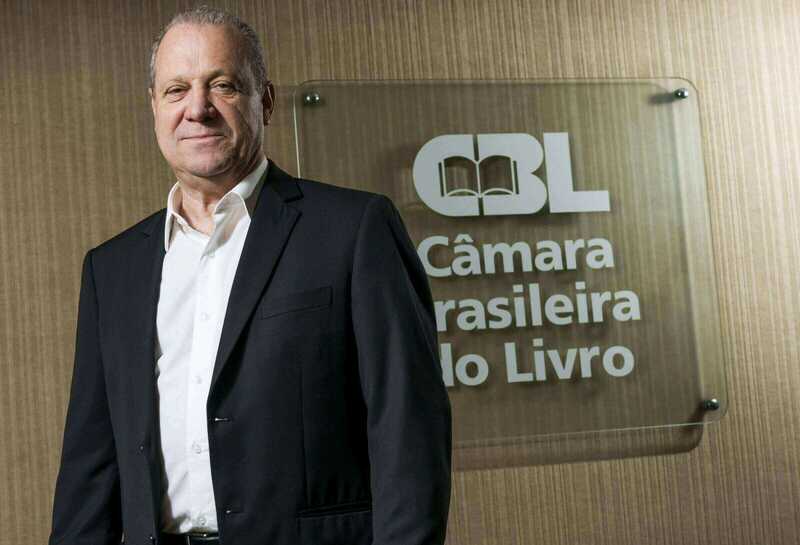 *Luís Antonio Torelli is the president of the Brazilian Book Chamber.